Bally completes the ranks of his collection of footwear for spring summer 2012 season with a hot line decolletes definitely something for everyone. The collection ranges from more traditional forms and fact to which the brand has established Swiss never gives up, and new this season, the beautiful decolletes a narrow point back in fashion this year and valued by all brands of high quality. So, after the line of sandals and flat models, Bally also focuses on these shoes elegant and sophisticated, but reconsidered in clothes and colors more vibrant and carefree for the summer 2012. Let's take a look at them in detail. A classic for several seasons is that of decolletes round toe, stylish shoes which sometimes gives you a more professional touch. In the collection of Bally will find special models such as Dorine, made of leather or black version with caramel-colored leather sole and the neckline raised (at a price of 325 euros on the official website), the mary jane with black nappa Mallia contrasting white strap and adjustable buckle, also with medium heel 5 cm (350 euros), and yet the model Babs Fo calfskin with laser cut, painted and staple effect on the tip (425 euros). More youth are Otty Crest leather with heel 8 cm wide, round toe and side insert a central medallion with ribbon (395 euros), while Pammy have the characteristic shape reminiscent of a moccasin, with inserts of colored paint block (375 euros). Great protagonists of the summer collections of shoes this year decolletes a narrow point, models from most worldly charm and character. In the line of Bally These things are fabulous Colette pumps with leather effect paint, with a cigarette heel of 10 cm, available in very beautiful colors like red, blue and evergreen tones (325 euros). They have low heels and conveniently decolletes Clea, calfskin painted a narrow point in different colors, while among the most beautiful versions decolletes find the beginning of the article, the Pascalle. They are made of leather and high heels have a cigarette and patent leather bow at the tip (395 euros). 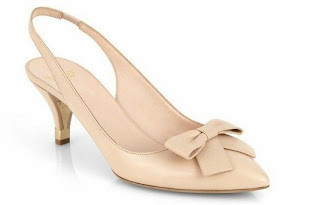 Conclude the collection the slingback between which the model Paulinne with heel convenient and staple on the tip.